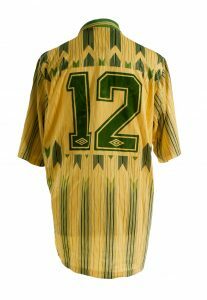 This is a Tommy Coyne #12 matchworn away shirt from the 1989/90 season – his first at the club. In his four seasons with Celtic, striker Coyne played 105 times and netted 43 goals. 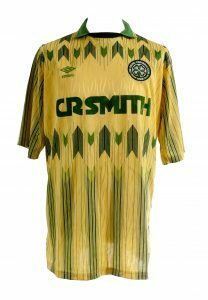 His performances at Celtic earned him a call up to the Republic of Ireland side in 1992.